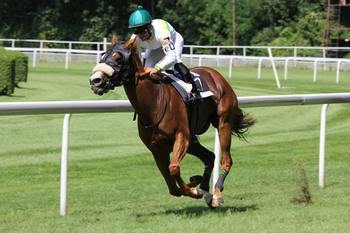 Horse racing is considered as one of the oldest and most prominent Equestrian sport in the industry. The first horse race activity ever recorded dates back to the existence of early Greek civilizations. Horse racing or chariot racing was the most popular sports variant included in ancient Greek Olympics. Most participants in these prehistoric horse races were after the prestige and recognition they'll be getting from the royalties back then. Several chariot riders have even lost their lives in race courses just to emerge victorious in these intense horse racing event. Thus, this prominence was carried until the modern times wherein horse racing has developed several race variants over the years. The sport is now hosting versions of flat races, endurance riding, as well as steeplechase events wherein hurdles are placed around the race track. Horse racing has definitely evolved from a simple chariot racing event into custom and specialized race affairs hosted in some of the famous horse race tracks today. These include some of the most prominent and most expensive race courses still used nowadays. Saratoga Racecourse is considered as one of the oldest and best race tracks in the world. It opened its 9-furlong tracks at Saratoga Springs, the United States in 1863 which hosted some of the famous horse races in the industry. These include the Alabama Stakes, Travers Stakes, and the Whitney Handicap. It has also survived the destructive impacts of two World Wars, anti-gambling regulations and legislation, as well as eras of poor reputations. It also had its fair share of notable racetrack loses such as the Triple Crown winners Gallant Fox, Secretariat, and American Pharaoh all failing to qualify in the Whitney Handicap, as well as the only recorded defeat of Man o' War. This race course also features its own mineral spring and a historic bell which was continuously rung for 17 minutes before the race begins signalling all jockeys to proceed to the paddock. Another prominent American race course is the Del Mar Race Track which opened its tracks in Del Mar, California way back 1937. It features a seven-furlong course, a one-mile inner track, and a grandstand which overlooks the Pacific Ocean. It also lives by its slogan "Where the Turf meets the Surf," every time it hosts horse races every year from July to September. Del Mar initially earned its popularity during its early operational years when it hosted the momentous race between Ligaroti and Seabiscuit. This historic horse race was the first horse race to be broadcast on NBC radio and is one of the popular tracks for horse race wagers. Regarded as one of the most famous horse race tracks around the world, Tokyo Racecourse still lives by this recognition up until today. It was opened in 1933 and has hosted some of the popular horse races like the Japanese Derby, Japan Cup, and Japanese Oaks over the years. Japanese race viewers also dubbed it as "The Racecourse of Racecourses" since it can currently house 223,000 racing fans which can also bet on horse races on huge video screens inside the venue. It also has a dirt track, its own jump course, and five grass course selections. Throughout its existence, this race track in Fuchu, Tokyo has hosted various Grade I races which include one racing affair for the Asian Mile Challenge. Epsom Downs racecourse is another old running horse race track in the industry today. It initially opened its tracks in 1661 and has hosted popular race events like Epsom Oaks and Epsom Derby over the years. The term "derby" originated on Epsom Derby which is now used in other sporting events. This horse racing event is considered as the richest horse race affair hosted across Britain and the most used over the other five British Classic Races. It has also developed its stadium's capacity which can now cater more than 120,000 live audiences. There are also other popular race tracks in other regions like Curragh Racecourse in Ireland and Meydan Racecourse in Dubai.